By the end of the 1960s and continuing well into the late ’70s, bands like Emerson, Lake & Palmer, Kansas, Rush, Pink Floyd, Yes, King Crimson, Jethro Tull, Genesis and Styx were in the vanguard of a musical shift in rock. Suddenly, uncommon time signatures, long solos, technical passages, dragged-out instrumental parts and lyrical themes out of this world not only became common but largely accepted even on a commercial scale. In short: the prog rock scene that rose during this period applied extra everything – to everything. Maybe so the most in terms of drums. To this day, the timeless chops of Neil Peart, Phil Collins, Bill Bruford, Alan White and many others continue to inspire and set the bar. 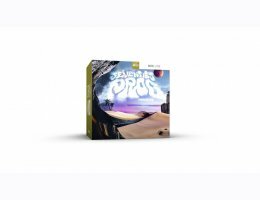 In the wake of this musical overthrow and inspired by the iconic drummers of the era, the Seventies Prog Grooves MIDI pack takes off. But although this collection of MIDI offers its fair share of technicality, the main idea behind it was to keep it plain, simple and easy to understand. Literally covering the entire gamut from 4/4 all the way up to 11/8, this MIDI pack offers an enormously broad foundation of grooves for anyone looking to spice up their songwriting with some basic, tight and classy drumming. May be that it’s delivered in a somewhat challenging format time signature-wise, but change is often what brings out the best of new ideas. Up for it? Start writing!